"Sometimes it's not the technique, it's the technician." Daniel Dennett, Professor of Philosophy at Tufts University, and more importantly one of the Four Horsemen of the Counter Apocalypse, has rekindled my faith (!) in philosophers. Part of the way he does this is by actively incorporating the results of modern science into his work - in particular Darwin's theory of evolution by natural selection - instead of limiting himself to armchair speculation. I think that philosophy is one of those fields that has a great deal in common with magic. My test, as I've discussed before, is if you can transform a manual from one field to another simply by substitution of a few key words. Stanislavsky's writing is a lot like this; simply replace theatre and actor with magic and magician and you almost have a brand new book for free. 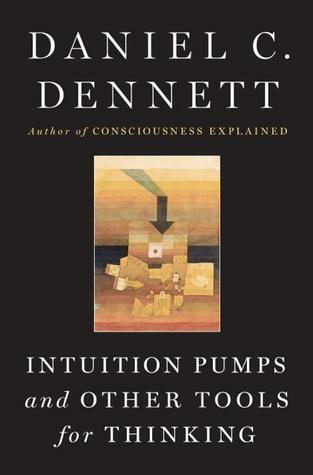 Dennett doesn't even make you do that much work in his new book Intuition Pumps and Other Tools for Thinking. He makes explicit reference to magic and magicians repeatedly, in chapters on meaning, consciousness and free will. Profound philosophical implications indeed! While he isn't giving away the working of any magic tricks per say, he is divulging strong magic principles. In fact one of those principles was the subject of a 3-hour workshop with Eugene Burger that I hosted last fall. And, as far as I know, Eugene Burger and Daniel Dennett have never been seen together in public... curious.